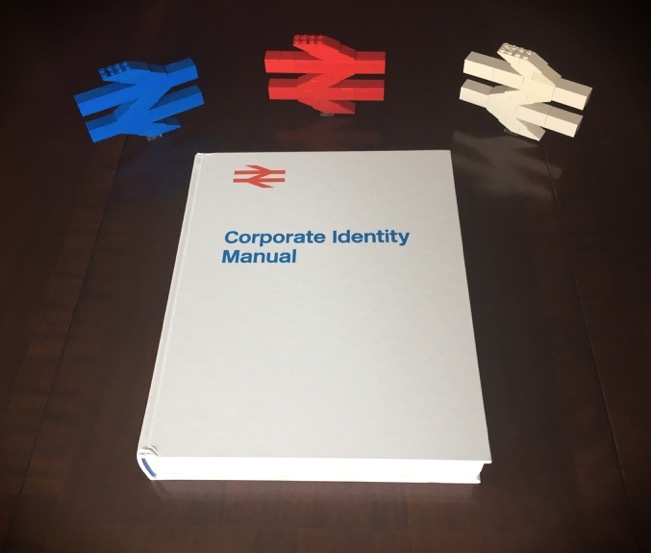 A couple of weeks ago, I finally received my birthday present in the post from my wife: a gorgeous reprint of the British Rail Corporate Identity Manual. On my birthday itself, my eldest son presented me with brick-built BR double arrow logos! I can't believe that I hadn't thought of making them myself. In any case, I doubt I could do better than his brilliant builds. I think he perfectly captured their size and proportion in an elegant and clean stud-ups design.